This entry was posted in Regency, Uncategorized and tagged Downton Abbey, Edward VIII, Georgette Heyer, Mary of Teck, Nanny Bill, Nanny West, Nurse Button, Regency nurse, Sylvester, the Wicked Duke by Angelyn. Bookmark the permalink. I love that scene from Sylvester!! It makes me scream with laughter every time! Sir Nugent’s perfidy, indeed. Yes, my daughter reads it aloud every time she reads that book because it’s just so much fun. Loved Button!! Another great nurse is Venetia’s. Great post, Angelyn. I tweeted and shared. LOL. Yes, isn’t Venetia’s nurse the one who quotes (from the Bible, I think) that Damerel’s increase will be given to the caterpillar?? She reminds me of Kitty Charing’s governess–another great character! Oh–Venetia’s nurse will have to make an appearance on this blog one day. Great character! This is such a good blog topic! I cringe when I read Regencies where they refer to the “nurse” as “nanny” because that came along later. 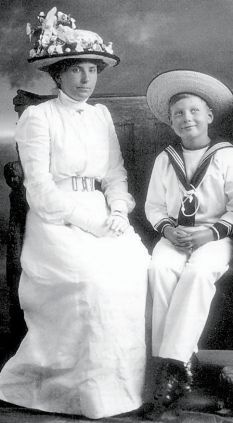 I remember reading that Winston Churchill and his nurse were so attached that they corresponded when he went to Eton, and she missed him so, she came to Eton to see him. Sadly, once she was there, he was a bit embarrassed. One has to feel sorry for them. Many of these old nurses were beloved until their dying day, as depicted in the fictional Brideshead Revisited. they had such an enormous influence on their charges–I hadn’t thought about the differences between the terms of nurse and nanny before researching this post–now it seems so terribly significant. Thanks for coming by, Cheryl.